In this class we will be making the Hearts are Forever quilt. 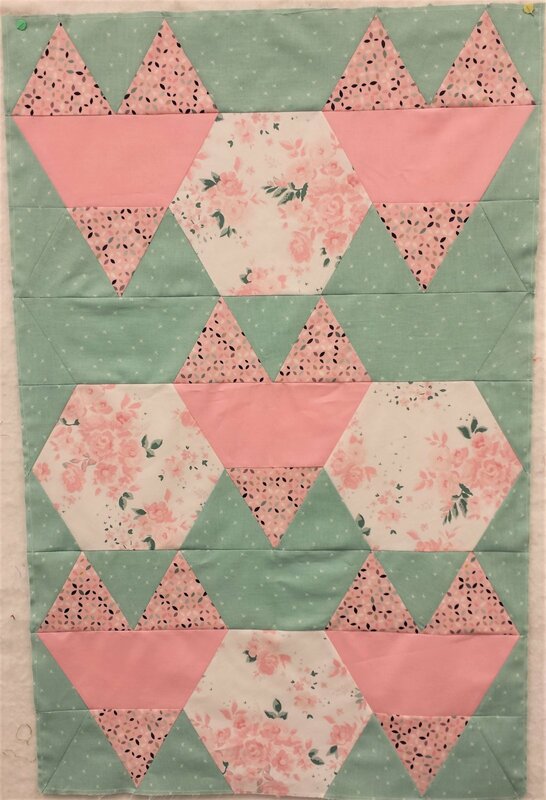 You can make a wall hanging or a larger quilt. You will need the Go! Hexagon 4 1/2" (55438), Go! Half Hexagon 4 1/2" (55437) and the Go! Equilateral Triangle (55429). Supply list for wall hanging- Click here. Supply list for larger quilt- Click here.